It's no secret that we love Mountain Equipment Co-Op. We've spoken during their Tuesday night inspiration series on more than one occasion and we always pop in to see what's new when we're back in town. It is the perfect store for the adventure lover. As part of Shredded Wheat Canada's, Live Simply and Win Contest Post Foods Canada giving away a $100 certificate to Mountain Equipment Co-Op. As Post’s resident travel experts, we thought we'd share four of our favourite climbing spots around the world with you. The very first climb that we ever did in our lives was on Raleigh Beach, in Krabi, Thailand. We have since returned three times to beautiful Raleigh Beach to work on our climbing skills. It was here that we first learned to lead climb and took on our first multi-pitch climb. 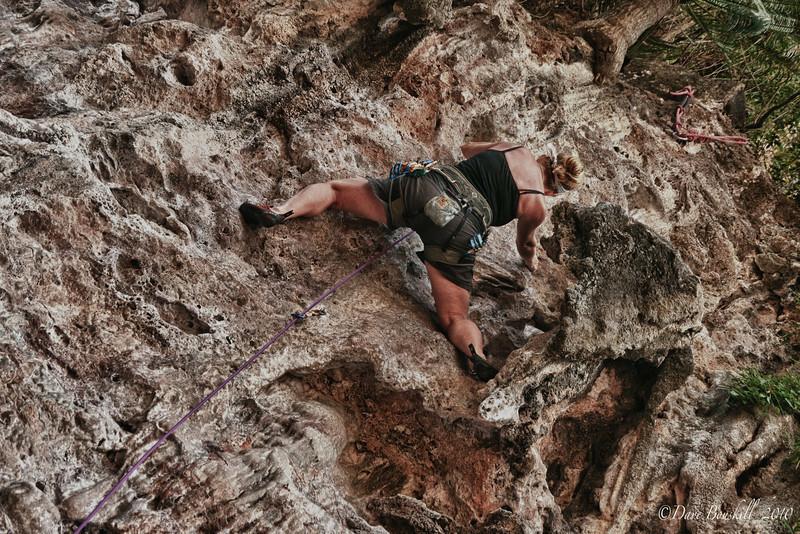 The amazing karst formations of Krabi have made it a world class climbing destination where the best of the best return regularly to tackle its hundred of routes. The newest fad to catch on in Krabi is deep water soloing. A person free climbs up a wall and once they are finished the climb, they simply jump into the water. It's definitely not for the faint of heart. Tip: For reasonable accommodations stay at Tonsai beach next door to Raleigh, that's where the climbers camp and within a couple of months you'll find your expertise soar. The Rocky Mountains are the place to climb for the true die-hard. While Squamish, British Columbia may be more famous, we were thrilled to be able to climb in Canmore, Alberta. There are routes for every level of rock climbing and one of its areas is home to the highest concentration of hard routes in the Rockies! When we climbed there, we had taken a couple of years off to cycle Africa and build our new business of travel blogging so we were a little rusty. 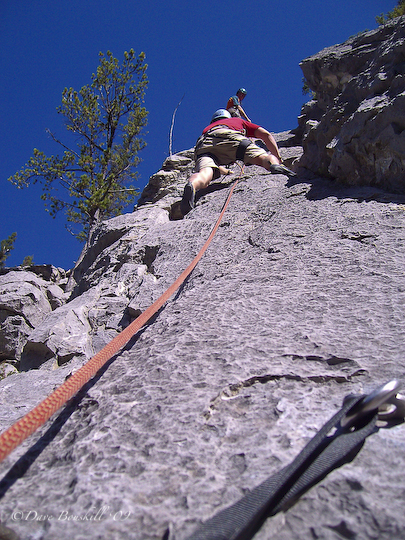 Climbing with a guide from Yamnuska Mountain Adventures was an amazing way to re-spark our interest in the sport. James took us through a great day that was fun yet challenging enough for these two former weekend warriors. He could have stayed at the beginner's crag, but he saw a hint of our former selves during our routes so we partook in a multi-pitch and a few of the more challenging top rope routes. There is nothing more exciting in life than to be able to say that you've climbed in the Rocky Mountains. Yangshou is one of the most picturesque places in all of China and it is also one of the world's leading sport climbing locations. 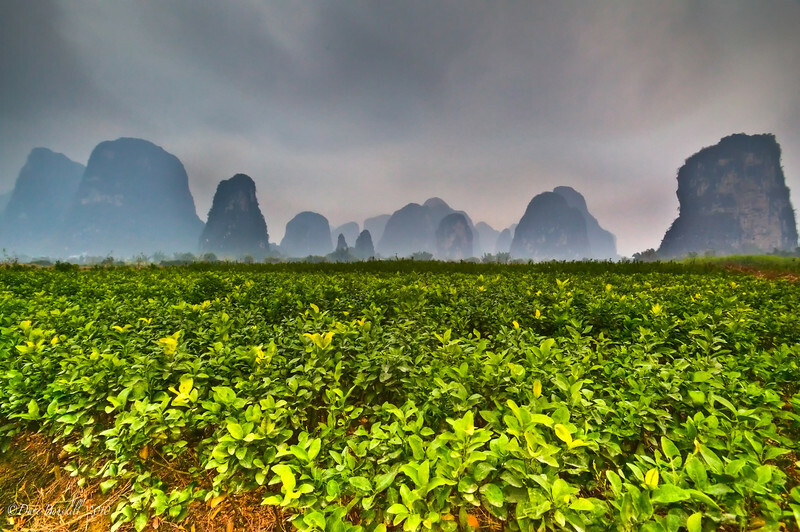 Thousands of giant limestone cliffs burst out of the landscape just beckoning you to climb them. We didn't have a lot of time in Yangshuo, but we knew that we had to take a day to get out and tackle some of its routes. Like Thailand, it is a climbers paradise and people come from all over the world to spend months at a time tackling its routes. 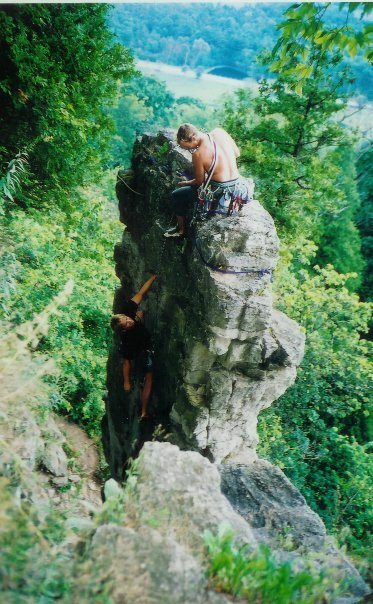 Yangshuo is also extremely cheap, so you can spend months just chillin' out and working on your climbing technique. By the end of your stay, you will definitely be a pro. We can't wait to go back one day to spend an entire season in this very cool area of China. It may not be known as the mecca of climbing, but Ontario has some pretty awesome cliffs. We started climbing seriously here in Ontario at Joe Rockheads Climbing Gym and eventually worked our way outside to climbing the Niagara Escarpment. While we frequented Rattle Snake Point, Metcalf, Buffalo Crag and Glen Eden, there are numerous places to climb in Ontario. Lions Head is the most popular among our friends who have outgrown our climbing abilities. They climb the most difficult routes that require you to rappel down to belay from a ledge or even from a hanging belay. 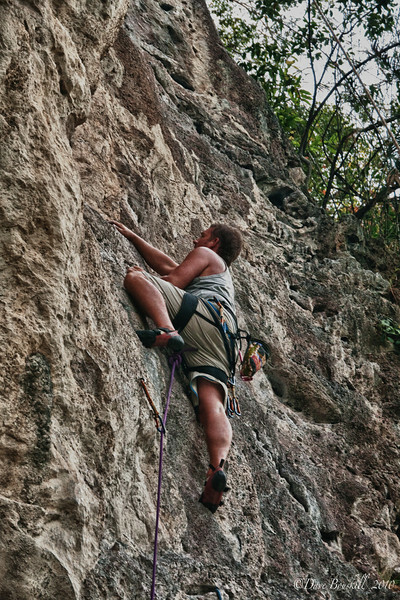 As our friends move on to become expert climbers, we are content in the fact that because of travel, we get to try different climbing routes around the world. Climbing in Hampi, India. Who Knew? 7 Responses to "The Fab Four Climbs of Dave and Deb"
I am in awe of those who climb mountains like this! Beautiful climbs though. Thanks Debbie, there are so many great climbers out there, Dave and I just dilly dally, but we have so much fun!